With increased services of tooth whitening, more people are getting the opportunity to regain the pearly white teeth they lost due to coloration or other reasons. In Australia, for example, it is easier to find reliable and best tooth whitening services in Brisbane. 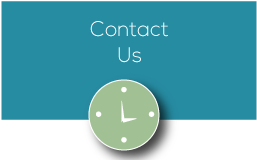 Reliable facilities such as Central Dentists Brighton provide the service. However, before you sign up for any tooth whitening service, it is advisable to consult your dentist for cleaning and check-up to ascertain whether you are the right candidate for the service. The pre-whitening checkup and cleaning allow your dentist to remove any surface stain, so the whitening process could achieve the best results. 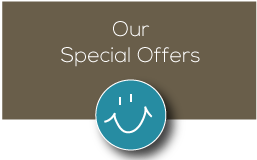 With effective tooth whitening, you could forget about the dental implant cost. While the service yields effective results, tooth whitening works best under certain conditions only. Not everyone can apply the solution. In order to know whether you are fit for the method, you may need to visit reliable facilities for tooth whitening services in Brisbane. For example, you could consult Central Dentists Brighton. The following conditions could prevent you from undergoing the tooth whitening process. if you have white fillings or veneers, you may not be the ideal candidate for tooth whitening. The hydrogen peroxide or carbamide peroxide used in the whitening process does not work well with veneers or white fillings. As such, they do not whiten beyond their original color, which depends on the surrounding teeth. If you apply the whitening process, the restorations will retain their color and become more noticeable. if your teeth have internal stain because of their natural development, the whitening process may not yield the best results. In that case, you may consider a permanent restoration. 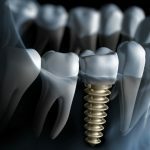 From reliable dental clinics in Brisbane such as Central Dentists Brighton, you can find information on restoration services such as dental implant cost. if your teeth have a natural color such as brown or gray, the whitening process may not produce the best results. Experts recommend yellow-colored teeth to produce the best results with the whitening process. for children below 16 years, the tooth whitening process can cause irritation of the pulp chamber and cause sensitivity. Experts also don’t recommend the process for pregnant, lactating mothers, and the elderly. similarly, if you have hypersensitive teeth or gums, you should not use a bleaching agent such as hydrogen peroxide, which is the chief ingredient in the tooth whitening process. By consulting with your dentist, you could find the best tooth whitening services. The human tooth has layers, the first being enamel. This layer is clear or partially translucent. The next layer is the dentin, which is often yellow. The dentin may also be gray or black. The color of the dentin is often seen through the enamel. During the whitening process, the dentist applies hydrogen or carbamide peroxide on the enamel. Since the enamel is porous, it allows the bleaching agent to reach the dentin layer. The whitening agent lightens the color of the dentin, resulting in whiter teeth. 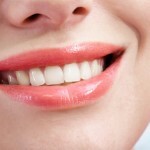 Professional dentists offering best tooth whitening services in Brisbane carry out this process. While the tooth whitening process works for many patients, it is advisable to have realistic expectations about the outcome of the process. 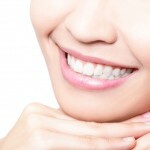 It may take time before you achieve the whiter smile that you desire. Besides, whitening process is temporary and you should renew it as advised by your dentist. When you visit a cosmetic dentist, it is important to give a clear history in order to get the best tooth whitening services in Brisbane. Your teeth may change color based on what you eat or drink. 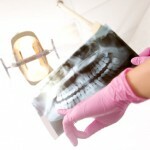 When that happens, it is time to visit your dentist and seek the most viable solution. Similarly, remember that regular flossing, daily brushing, check-ups, and examinations can help you minimize dental expenses. The tooth whitening process is not the same in everyone. Therefore, in order to get best tooth whitening services in Brisbane, it is advisable to choose one that suits your health needs and budget. With the mild abrasives they hold, nearly all toothpastes have the ability to clean surface stains. Whitening toothpastes have additional polishing agent that improves their efficacy in dealing with surface stains. The toothpastes are essential in removing surface stains only, as they have no bleaching agent. Professional whitening products and over-the-counter whitening products contain hydrogen peroxide or carbamide peroxide, which enables them to clean beyond the surface. With whitening toothpastes, you can have your teeth lightened by one shade. However, when you engage the best tooth whitening services in Brisbane, you could have your teeth lighted up to eight shades. This is because the process conducted under a dentist’s watch could see the use of better products, monitoring, and corrections where necessary. Before you decide on the whitening toothpastes, you should consult your dentist for appropriate advice. Apart from the whitening toothpastes, you could also use the strips and gels that are available in local pharmacies. Besides, visiting a reliable dental facility such as Central Dentists Brighton could reveal the right products to buy for a whitening process that is agreeable to your personal circumstances. When you purchase a whitening gel from a supplier, remember to ask for the directions of use. The instructions are simple and easy to understand. Ensure you follow the instructions as provided. With a proper use, the first results are evident within a few days. However, the ultimate result of the process is noticeable after one or two months. In the case of strips, the package often comes with instructions, which you need to read carefully for the best application. Experts recommend that you wear the peroxide-treated strip twice daily for a total of 30 minutes and continue for 14 days. The results are evident within four months, but you can notice the difference in just a few days after you start applying the strips. A relatively newer method of teeth whitening, the whitening rinses involve the use of a special mouthwash that help freshen breath. It also reduces gum disease and plaque. The rinses also contain ingredients such as hydrogen peroxide, which help whiten the teeth. Experts suggest that with proper application, the results are evident in 12 weeks. It is also important to note that whitening rinses may not be as effective as other tooth whitening products. For example, a whitening strip takes 30 minutes mouth every day as opposed to the rinses, which only takes one minute in the mouth each day. These are available from reliable dentists or over the counter. They come in a tray that resembles a mouth guard that contains a whitening gel. You wear the tray as your dentist instructs. Usually the period ranges from a few hours to one day especially during the night. The practice continues for four weeks or more, based on the level of whitening you desire. You can opt for an in-office whitening process as opposed to using over-the-counter products or other methods. According to experts, this method yields the fastest results. However, it has to be done in the presence of a qualified dentist, who must conduct the process. The process involves the use of heat and laser. The process can take between thirty minutes and one hour and the results are evident within that period. However, to achieve the best results, the patient has to do several appointments. While it is the fastest method with almost immediate results, in-office whitening costs more than other services. Whitening effects: how long do they last? It is important to note that teeth whitening processes are not permanent. The teeth may just lose their white color in as little as one month based on the foods and drinks you take. If you abstain from foods and drinks that could stain your teeth after whitening, you could wait for a year before you do another round of whitening. Several factors determine the level of whiteness. They include the condition of the teeth, the method of whitening used, and the degree of staining. Even after the whitening process, it is advisable to continue observing proper dental hygiene and to go for regular checkups. It is important t to consider the following points. Over-the-counter whitening products contain a lower percentage of bleaching agent compared to a process conducted in the office. The main difference here is customization versus one-size-fits-all. 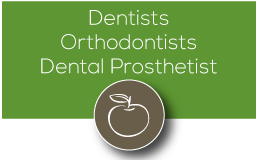 When you have the process in a certified dental facility, your dentist can get the actual impression of your dental structure and provide you with a mouth guard that fits exactly in your mouth. When that happens, there are no chances of interfering with the gum tissue. It also provides a better contact between the whitening gel and the teeth. In mouth trays sold over-the-counter, the universal size means that it may not fit squarely on the mouth. Once loose, the whitening gel will find its way to the gum tissues. In an in-office application, the dentist applies the whitening gel directly on the teeth. A whitening process conducted in a certified facility is accessible to additional protective devices. For example, your dentist could protect your gums using a rubber shield during the application. That kind of additional protective is not available over the counters. Cost is another factor to consider when choosing a tooth-whitening plan. 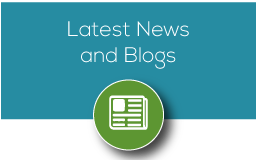 Over the counter processes are often less costly, compared to in-office procedures. It is often advisable to confirm product safety, especially when you use mouth guards. The best products are those with the seal of acceptance from a certified dental association. Many people still underestimate the value of teeth whitening. In most cases, people look at your mouth when you talk. The movement of your lips coupled with the expression on your face, provide emotion to your words. If your teeth are stained, your hearers would simply misconstrue the meaning of what you say. Some may look away to avoid embarrassment. In selecting a facility for tooth whitening, it is advisable to sample the best providers in your area. Most dental clinics have websites, which you could visit and obtain more information regarding their services. Besides, you could check websites of professional bodies such as dentist boards and associations. A visit to the Better Business Bureau website could also reveal whether the facility has had issues with clients in the past.